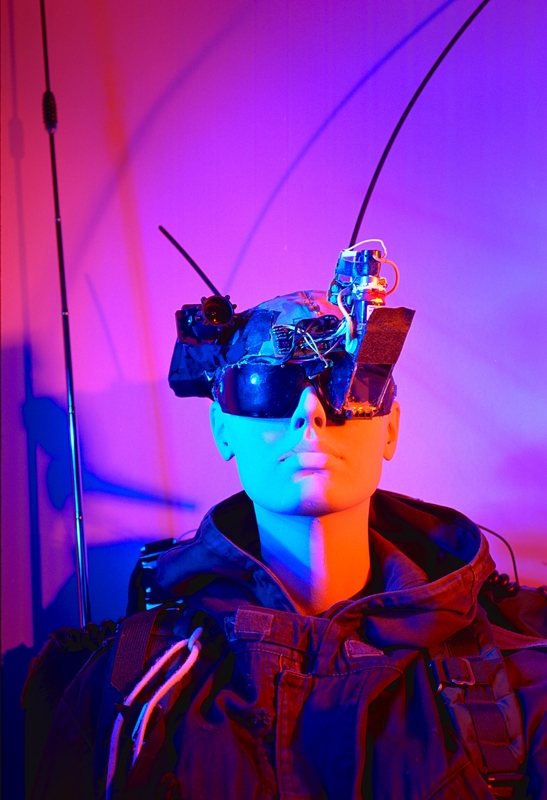 In this October97 opening at M.I.T., I resituated my work from the past 20 years, in the disturbing and disorienting venue of ``cyberfashion''. The underlying meaning of the exhibit has been lost to many (and made light of in recent years, with the explosion of "cyberfashion"), but that will need to be left for a future exhibit. Covert video recording system concealed in eyeglasses was used together with an outdated hand-held camcorder, in the production of the meta-documentary (documentary about making a documentary about video surveillance) ShootingBack. 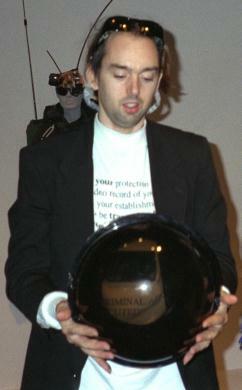 The camcorder served merely as a prop, while recording was actually done through the eyeglass-based system, which captured the process of making a documentary video, and allowed the remote viewer on the WWW to experience what it was like to look through the viewfinder of a camcorder and observe the reactions to the camcorder of security guards and other representatives of organizations using video surveillance. Various embodiments of "maybe camera", and "probably camera" explore issues of surveillance in society. 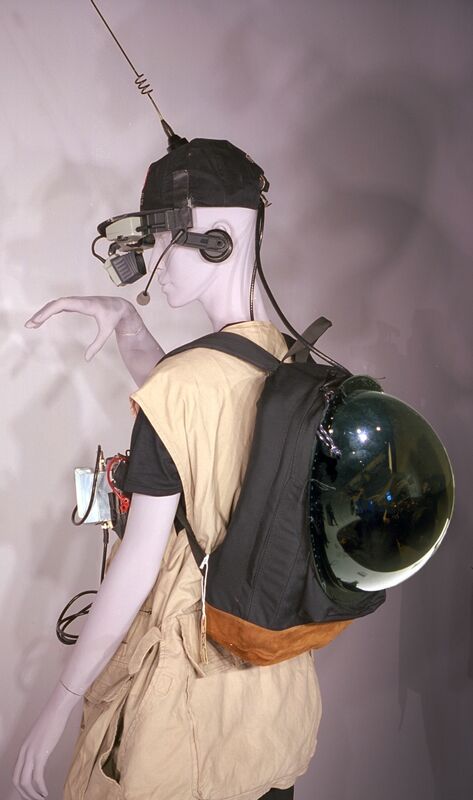 This "ShootingBackPack" re-situates the ubiquitous but mysterious ceiling domes of wine-dark opacity in a disturbing and disorienting fashion by placing them upon the backs of otherwise vanquished (surveilled) individuals as instruments of personal empowerment and personal safety. 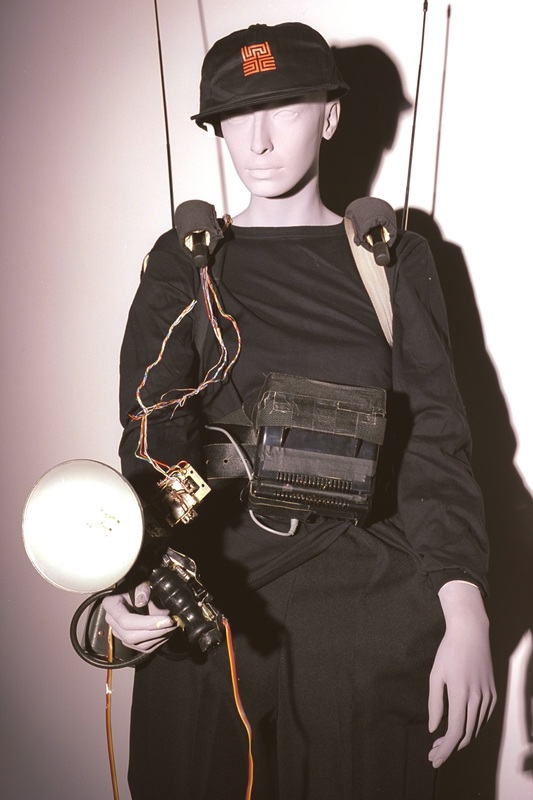 These and other pieces from the exhibit re-situate the everyday familiar objects that are tools of control and monitoring, such as the computer, in a disturbing and disorienting fashion, within the prosthetic territory of the otherwise vanquished individual. This establishes a form of personal empowerment in order to challenge society's pre-concieved notions of the individual versus the organization. The pieces are examples of "reflectionism", in particular, within the context of holding a mirror up to surveillance in society. If you're in the MIT area, you might want to look at my exhibit at the List Visual Arts Center (LVAC), located on the first floor of building E15, which also houses the Media Lab, located at 20 Ames Street, Cambridge, MA. 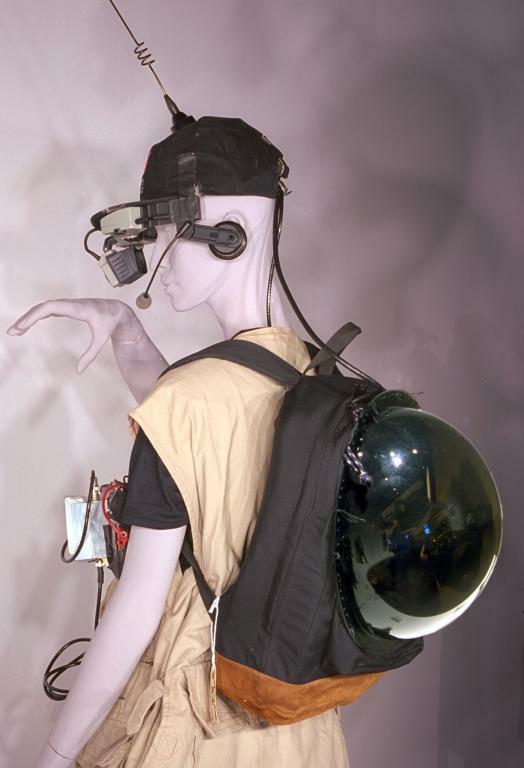 I have, on display, set up on mannequins, some embodiments of my WearComp/WearCam invention selected from the 100 or so units I've built over the last 20 years. 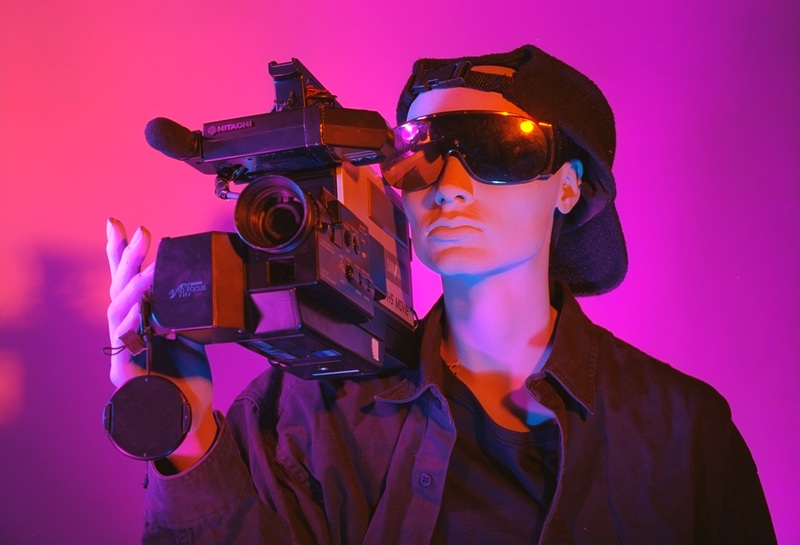 The particular units that I have selected for the show deal with issues of surveillance in society (re-situating the video camera in a disturbing and disorienting fashion in order to challenge our pre-conceived notion of surveillance in society). 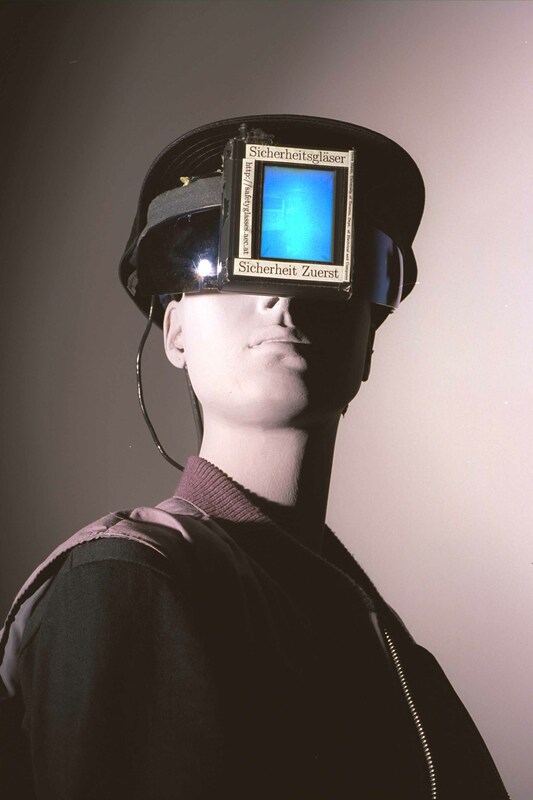 The exhibit is a retrospective of past performances, such as ShootingBack, the tools of which are situated on mannequins along with some other artefacts, so that they are re-created as interactive video sculptures. The fullsphere head dome comprises two hemispheres joined together, the neck hole being cut through the bottom hemisphere. Thanks to Jennifer Riddell, Katherine Kline, and Jonathan Roll for extensive help in setting up the exhibit of my rigs. Thanks also to Julia Scher, Krzysztof Wodiczko, and many others who made valuable suggestions along the way. Work presented in this exhibit was funded, in part, by the Council for the Arts at MIT. Similar exhibit at the Stedelijk Museum (actually this is a traveling exhibit that goes to various museums and galleries around the world). See theory of darkness (an April Fool's research paper) for a humorous look at the mysterious ceiling domes of wine-dark opacity called "dark fixtures".